The Luxury Bahía Principe Bouganville hotel, is located on the first line of La Romana´s Beach, its 244 Junior Suite Deluxe and Junior Suites Sea View are prepare for you, to enjoy a luxury vacation with your couple with the best surounding areas. Enjoy the different day and night activities including dance lessons, its 4 restaurants, and oppen air Spa area, and come back home like new after a great rest. Published in Only adults hotels in Dominican R.
With 149 rooms this beautiful hotel only adults of Dominican Republic is ideal for holidays and couples, enjoying the pool, the spa, the 4 restaurants and 3 bars, the modern rooms are equipped to make you forget the world with whirlpool tub, King Size, Butler, Room Service 24 hours ... come and enjoy with your partner an unforgettable holiday. 420 spacious rooms and all are Junior Suites surrounded by gardens and lots of nature. With modern, minimalist decor and spacious rooms that meet the exclusive luxury of Don Pablo Collection seal. You can play golf on one of the best courses in Riviera Maya. Perfect place to go as a couple and with the All Inclusive you can access to Bahía Principe Riviera Maya Resort. 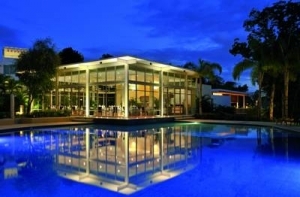 Very close to the beautiful Caribbean Sea this hotel is ideal for couples. The Junior Suites have an exquisite decor and all the luxury you can imagine. 964 rooms under the Don Pablo Collection seal are perfect to relax and live an exclusive holiday in Punta Cana. 70 rooms Luxury Bahia Principe Runaway Bay are all Deluxe Junior Suite with jacuzzi, beautiful views of the sea and with exclusive services. Come and find your place in the paradise of Runaway Bay, you will not regret! You will taste different world cuisine and traditional Jamaican dishes at the buffet or in the specialty restaurants, in addition to the snack bar. 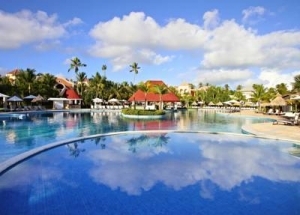 Enjoy a luxury holiday at the Dominican Republic with your partner at this amazing 5star hotel. Located on an exclusive island in the Samaná paradise, an island of 1.5 km, where the only thing is this resort and dream beaches. An excellent service will pamper you and the most luxurious rooms with the exclusive Don Pablo Collection seal will make your stay unforgettable. Beeing on a private isalnd the tranquility wil surrounder you, to share a magical experience.